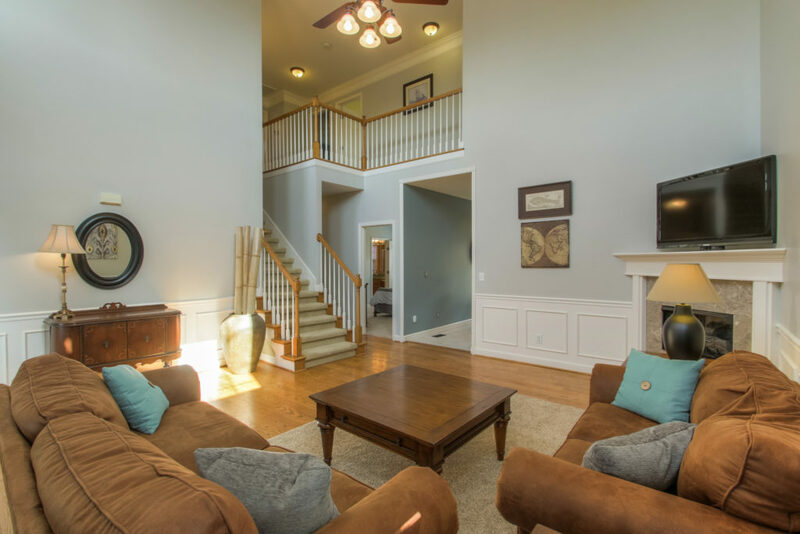 Elegant and stylish, this two-story home holds luxurious qualities and high end amenities. It resides within a gated community, surrounded by underground utilities and a neighborhood pool. This bold brick exterior is characteristic of the beautiful homes that neighbor 609 Palisades Court, and the front walkway is lined with a gorgeous stone flower bed. Inside, this home features four bedrooms, two and a half full bathrooms, sophisticated main living spaces, and a private bonus room. The large, fenced-in backyard continues the air of class that flows throughout the property with a sizable patio and a few trees. 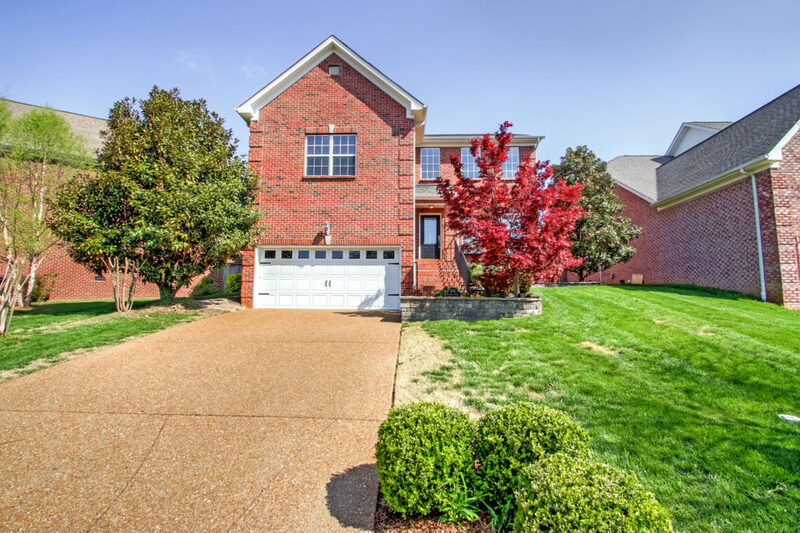 This house would make a lovely home for a new family seeking to living in Brentwood, TN. The front doorway leads right inside to the living room. Stunning 18 ft. ceilings expand the space and make it feel even more spacious than it is. The stacked windows within the front exterior wall provide a flood of natural light that creates a sense of warmth and welcome. The walls are washed in a beautifully light neutral tone, and the wainscoting is a classy touch. Of course, another lovely advantage of this inviting space is the perfectly positioned corner fireplace. The entire room promotes relaxation and conversation. With a calming shade of blue on the walls, the cream tile flooring, and the matching backsplash, this kitchen is an oasis for cooking creativity. Recessed lighting and several windows fill the room with light and allow the room to feel more open. 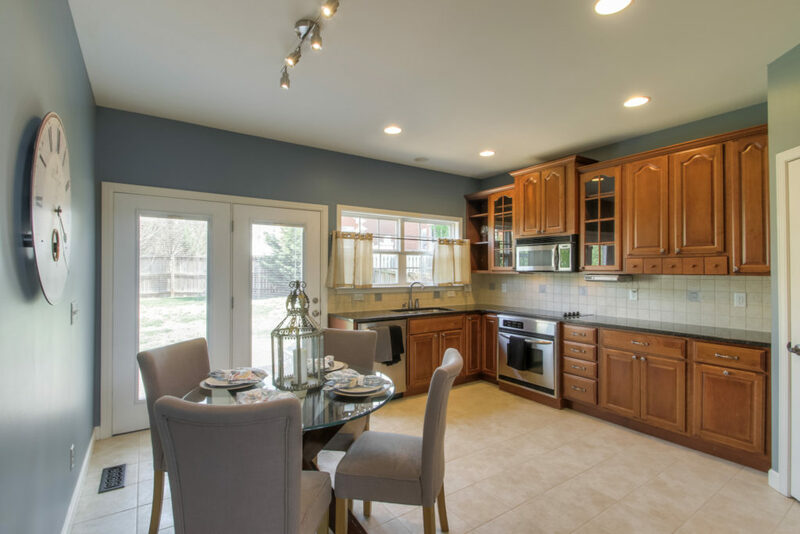 Granite countertops and custom made cabinets provide plenty of storage and meal prep space. 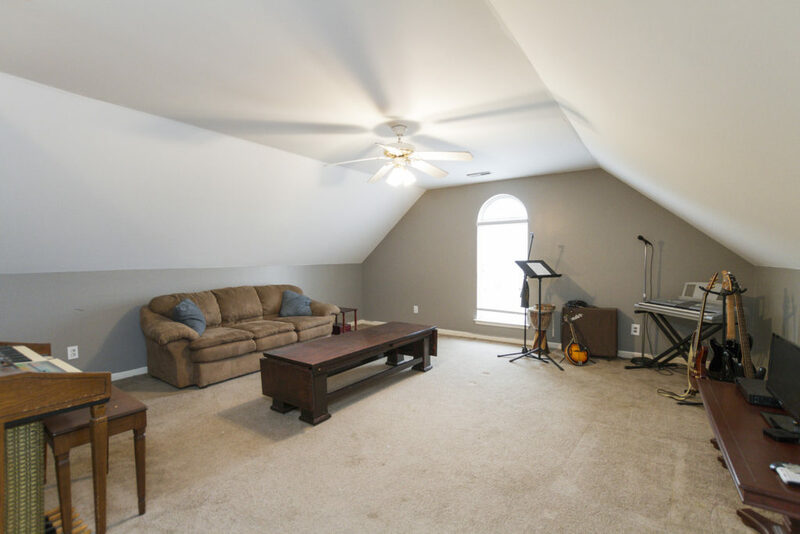 The large private bonus room presents yet another space for leisure within this beautiful home. Vaulted ceilings amplify the size the room, and several windows supply a view of the lovely exterior landscaping. Carpeted flooring creates a homey feeling, while the rich tones in the ceiling fan create a subtle hint of natural elegance to match the rest of the home. From movie nights to game nights, this room is equipped to entertain. 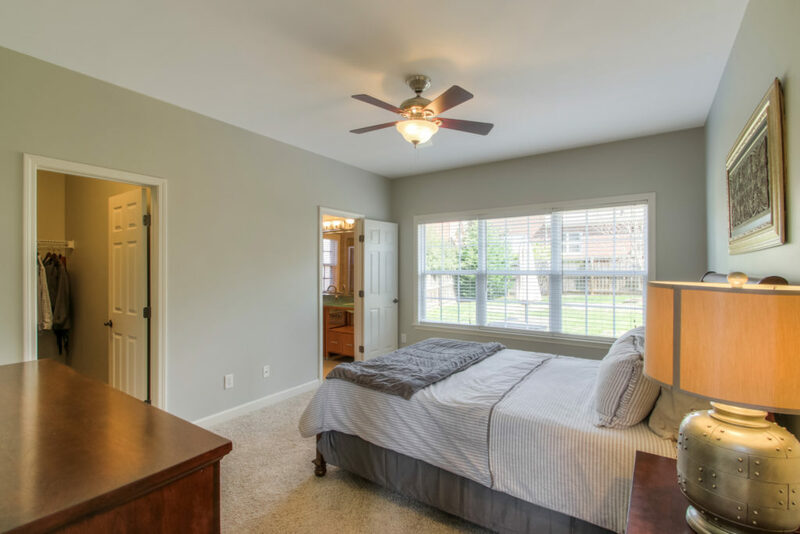 Positioned on the first level of the home, the master bedroom has prime placement within the house. The large back window provides a beautiful view of the large fenced-in backyard. Neutral wall tones make it a simple fit for any home decor theme. Aside from the walk-in closet, this in-home get-away also furnishes a remarkable adjoining master bathroom. With the vibe of an in-home spa, the luxurious bathroom is covered in tile, with beautiful double vanities. The separate bathtub and shower are surrounded by earth tones and lavished in serenity, taking this master suite to a whole new level. It’s minutes from I-65 for a quick commute downtown Nashville, Cool Springs, and the airport. You can practically walk to Nippers Corner and Seven Springs for restaurants, coffee, or shopping. It has a great backyard that is fenced in for dogs. It has an oversized patio with separate grill pad; there is a ton of space for hanging out by the firepit and for outdoor cooking. It has tons of space inside and a huge bonus room. There is natural lighting in the living room. A: Target is right around the corner along with Publix and Kroger. A: There are great neighbors, a fun community pool in the summer, and a playground for the little ones. It has gated access, beautiful common area landscaping, and it is close to everything. A: Granbery Elementary school is within walking distance. Granbery Park has a jogging path and tennis courts. It is close to Ellington Ag Center, and close to Radnor Lake State Park for hiking. Brentwood, Tennessee is a well-established, beautiful city that is rich is history. Much of this history is viewable through the natural landscaping of rolling hills, and is preserved through local parks. Places like Primm Park and Marcella Vivrette Smith Park provide gorgeous scenery while showcasing some of the historical landmarks that the city has to offer. This home resides in the Metro Nashville Public School District. 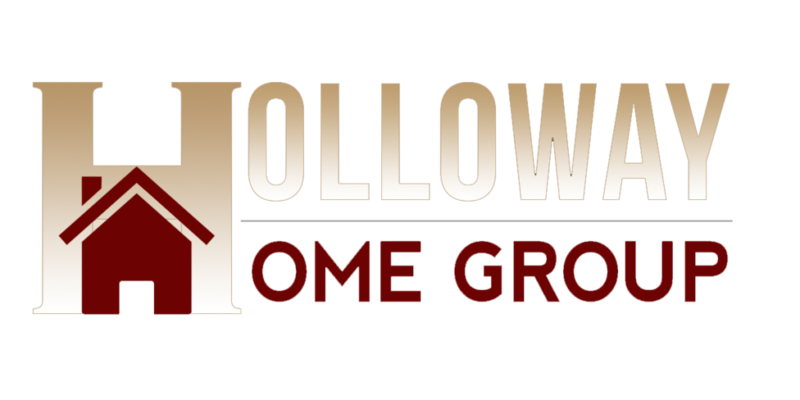 Students who live at 609 Palisades Court can expect to attend Granbery Elementary School, William Henry Oliver Middle School, or John Overton Comp High School. There are also several daycare options for students are younger than the standard school age. For adults who would like to continue their education, Brentwood is near several universities. There are actually eight colleges within a 10 mile drive from the heart of Brentwood. Two of these great options are Lipscomb University and Belmont University. The greater Brentwood area has well-rounded educational opportunities for all.